The interview below with Mr. Roye Albrighton of Nektar was posted on this day seven years ago, when Prog Sphere was just a few months old. We have been talking about his beginnings, forming Nektar in 1969, his guitar rig in the band’s early years, and more. Mr. Albrighton passed away after a long illness in 2016. Rest in peace! Nick: First of all, I would like to thank you for agreeing to do this interview for our up-and-coming blogzine, it’s a pleasure for us having you, Mr. Albrighton as an interviewee. Roye: My pleasure entirely, thank you for the invitation. Nick: So, let’s start from your early music beginnings. How did your musical career begin? When did you start playing? Which groups have been your favorites as a young man? Please tell us something more about your early life. Roye: My first venture into the world of the guitar came at the age of 10 when my brother who is 10 years older than myself brought home an old Spanish guitar with one remaining string on it. I was fascinated by this instrument and took it from there really. I found out how to re-string it and spent most of my teens in our back kitchen area learning to play it. Back in those days, pop music was much the same as now and I used to look for something different which is when I found the American blues artists. As a teenager I would walk into town and look for anyone who would play together with me… This was pretty easy really as the guitar was making a big breakthrough in the UK thanks to likes of the Shadows, etc etc. My home town was Coventry which was the UK’s motor city and there was an abundance of pubs and clubs that had live music every night,so finding somewhere to play was not difficult. As a learning musician my ears were open to everything and I used to love the guitar bands like “the Ventures” and “Spotniks”. Nick: How did you go about forming Nektar back in 1969? Who was the most influential when the band started its musical journey? Roye: I was in Hamburg in the late 60’s playing with my outfit called “The Peeps” in the Top Ten club on the Reeperbahn and during the day there was not a lot to do until the clubs opened at night. It’s then that I walked past the Star club and heard a drummer practicing. On further investigations I got to know Ron Howden who was that drummer and we then jammed together for the next week until my band had to leave for Sweden. I told Ron that if they ever needed a guitarist/singer just give me a call and sure enough 3 months later I got a telex asking to come over… This was then the start of Nektar.Many bands have influenced Nektar it would be difficult to list them all but I think it’s safe to say that Beatles and Hendrix played a large part. Nick: Have the fact that Nektar was formed in Hamburg pushed the band as one of the carriers of Krautrock? I know that scene was characteristic of German bands, and you guys played music that was similar to theirs. Roye: Nektar were in a kind of “no mans land” back in the 70’s. We were all Brits playing our own brand of music living in Germany and when we came up with the name for the band we decided to substitute the “c” for a “k” in the spelling just to make it look a little edgier. Unknowing to us this is the way that it is spelt in German, and so from that moment on we were branded a Krautrock band. If critics found similarities in our music to that of the krautrock movement, it was purely by accident. Nick: How did it look back in time to create music for Nektar? Did you have some “fixed” tempo in composing songs or everything was a product of jamming, improvising? Roye: Most of the material that was on the first two albums were taken from extensive hours of jamming and rehearsals… It was really only on “Remember the Future” that we made a conscious effort to put together an album that was to fit the purpose. Nick: Would you tell us what equipment/gear you guys used back in the 70’s? We are all witnesses of the constant growth of technology, how do you see it now, speaking of instruments/gear/stuff? Roye: The guitar rig I used for several years at the start of Nektar was really what was left over from other bands. It consisted of a Selmer PA amp, a pair of 4×10 PA columns (which had 2 blown speakers in each) and a echo unit by Schaller that made more noise than sound. “Taff” Freeman had an old Hammond M3 and a Hiwatt amp and 4×12 and Mo Moore had a Triumph bass combo. Ron I believe had a Ludwig kit. Nektar’s equipment evolved into the equivalent of moving house every day and by the time we got our first hit (Remember the Future) we had accumulated a ridiculous amount of gear that we would take on the road. I am a big leslie guitar fan and would carry around two full size leslie 122’s loaded with JBL drivers. By the time we did the (recycled) tour in the USA we were making use of two 40 foot tractor/trailer units. After leaving Nektar in ’76 I went through the whole multi rack scenario including the use of the synth guitar that is until one day just before a show the whole lot broke down. So I gritted my teeth and played straight into the amp. From that day on I never used a rack again and to this day only very few effect pedals. I realized on that night that the true sound of the guitar was hidden from me for years. Nick: How would you describe Nektar’s music on your own? Some would say that genre labels are ok, but do you agree? If today there’s a debate about progressive rock music, I believe that majority would say it’s about mellotrons, flutes, and time changes, while the other side says it’s too vague to judge. Roye: It’s difficult to place any kind of tag on Nektar music simply because it’s always evolving into something else from album to album. The term “progressive rock” is a fairly new description and I don’t think that Nektar’s music fits into this category. I can understand the uninitiated wanting to place many bands into this arena but for me the mellotron/timechange/flute thing is nonsense. I was always led to believe the word “progressive… or… progression” meant moving from one to the next which is what music does. It moves onto the next section. Strange that people think otherwise. 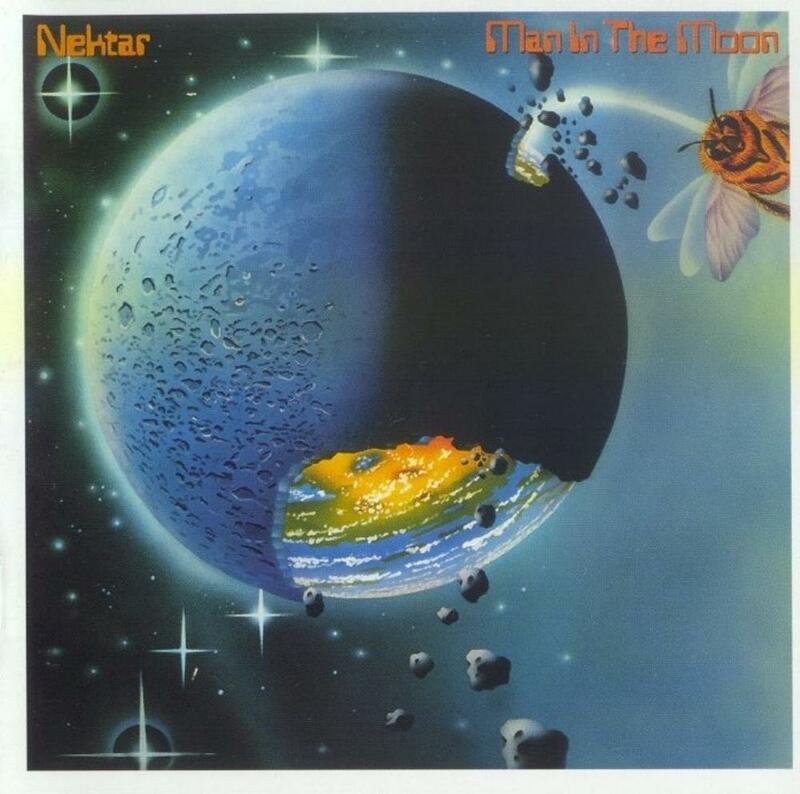 Nick: Nektar was on a 20 years long hiatus, since your last album in 1980 “Man in the Moon”. What happened for all those years? You have released your first solo album in 2002, followed by reunion of Nektar. Would you tell us something more about this? Roye: Since Man in the moon I was involved with several different projects, but mainly my own. I was deep into the synth guitar for a while but as previously explained that came to an abrupt end after the release of The Follies of Rupert Treacle. Between the mid 80’s and the reunion show I just took stock of everything and of course my illness played a great part in the void. The actual reunion show was a blast, after coming together of the original band after such a long period of time and having very little time to rehearse..it was amazing how it all came together. 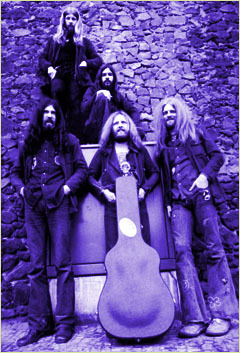 Nick: “The Prodigal Son” was Nektar’s first album after the aforementioned hiatus. Are you satisfied how this album has been received? 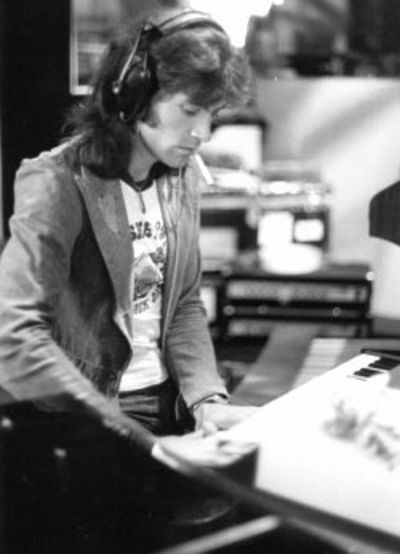 Roye: No offence to the drummer who appeared on that album but I wish that Ron had been with me on the recording. The production was ok but could have been a lot better had we not have been under pressure of a budget. I would love to rerecord that album again with some adjustments to the arrangements and of course with Ron and use of a bass player. Nick: “A Tab in the Ocean” is probably one of the best releases of Nektar so far, as many critics consider this album being essential for the genre. This album, together with other albums from seventies, has been remastered by Dream Nebula. Why did you decide to remaster these albums? Roye: It was decided to remaster because of the weak levels on the originals. Since then I have taken one of those originals and boosted the final levels myself to today’s expected levels and found there to be very little difference at all to the Nebula remasters. Nick: I believe your manager is Mark Powell, who’s is also Caravan’s manager. Sorry if this isn’t true, but as a fan of Caravan, I would like to ask do you have an idea what’s going on with them? I know that you have had it in mind to do a co-headline tour with them in 2004. Roye: We did actually do a combined tour with Caravan under the wing of Mr. Powell, and you are right he is no longer associated with Nektar since 2004. I believe that Caravan have disbanded. Nick: I remember a sentence in some review for “Evolution” where reviewer wrote something like “how’s it possible that bunch of oldies make such a good album”. In my country we have a proverb which says “No hit without old man”. 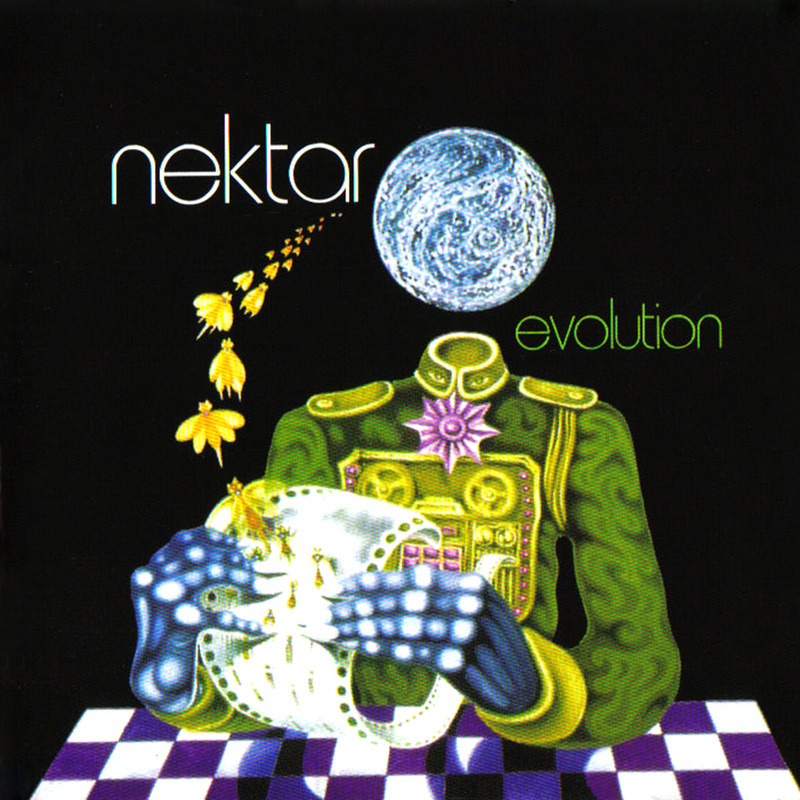 My opinion is that this album showed that Nektar has much more to say, what has been proved to be true on Evolution’s follow-up “Book of Days”. How do you see it now? Roye: I guess it works the other way around too “how can such young guys make such bad music”. I think your country’s proverb is about right. There is no substitute for experience. Nektar’s brand of music changes all the time and I think that it is the “no borders” attitude that keeps the writing fresh and sounding actual. Nick: 2009 brought us the live album “Fortyfied” with which you celebrated the band’s 40th anniversary. So, how does it feel, being involved in something for 40 years? It’s like a lifetime. Do you agree? Roye: Several lifetimes I would say, although it only feels like yesterday when we all congregated in that cellar and came up with “Journey to the center of the eye”. 40 years is a milestone in a band’s history and you can count the bands who celebrate this on one hand. And they all seem to be right now. Nick: What are your next plans for Nektar? Any new albums? Maybe a solo album or another project? Roye: I am in the process of finishing writing the next Nektar album which has the working title of “Juggernaut”. Hopefully this will see the stores in early 2011. I really do want to make a new solo CD, but this time without synth guitar. In fact without synths at all. Nick: Do you have any message for the visitors of our website? Roye: Thanks for taking the time to read this and please keep on supporting live music. It’s what keeps us going. Nick: Thank you very much for this interview. Best wishes.